It was a passion for food and seeing the enjoyment that food can give people that shaped Mark Ord’s career path to becoming Head of Hospitality for Sanctuary Care. Taking a change in direction following 20 years in the engineering industry, Mark bought a pub in East Hendred, enabling him to fulfil his passion, working with his chefs to create the perfect menu. His time at the pub spurred Mark on to get some solid qualifications and experience in catering, attending Henley Catering College (now a sixth form) and then working in a number of gastro-pubs and in more refined dining settings. In 2007, he joined Sanctuary Care as a Chef Manager at the then newly built, Wantage Nursing Home and during this time represented the company in a number of national cooking competitions and demonstrations, at venues as big as Olympia in London. Mark quickly progressed up the career ladder with his passion for food and dining standards being expanded, developing frameworks for both catering and domestic standards as Hospitality Support Manager and now as Head of Hospitality. How do you ensure good nutrition and hydration in care homes? With our resident’s nutritional needs being at the forefront of our catering teams’ responsibilities; all chefs receive regular local training to reinforce the importance of nutrition in particular, nutrition for older adults. All framework menus are created using advanced nutrition software. All dishes are assessed by ingredient, providing the calorific content of meals, as well as their macronutrient breakdown. The software enables our Chefs to also access a bank of nutritious recipes which can be tailored to both the dietary and nutritional needs of their residents, as outlined in their care plans, which are created in collaboration by our teams, residents and their families. This also takes into account their likes and dislikes. Good hydration is essential, which is why many of our homes have set up their own ‘Hydration Station’s’. Both staff members and residents can easily access fresh water here, as well as being able to request drinks throughout the day. 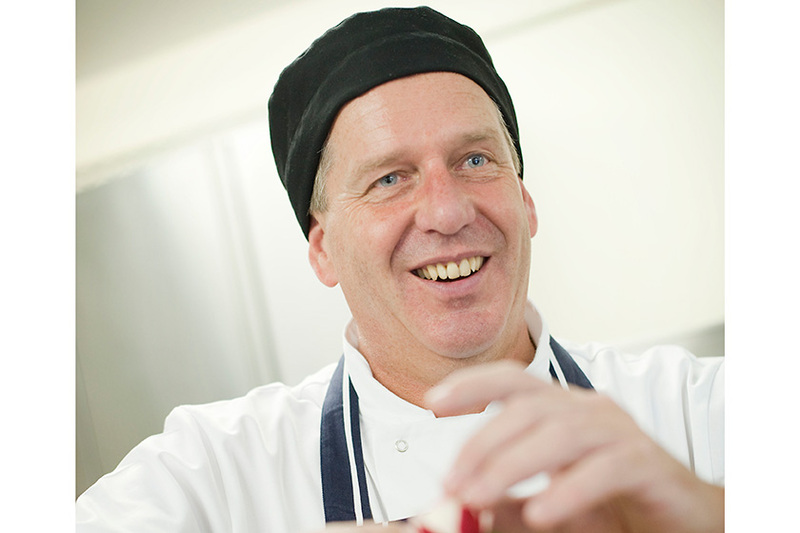 How does care home catering meet both the social and nutritional needs of residents? Meal times play a pivotal part in our residents’ day, so our chefs strive to offer the best experience. Our menus are all about choice, with residents being able to select on the day what they would like from a printed menu with a range of nutritious recipes, or if they don’t fancy anything on the menu, the chefs are more than happy to take requests. Residents also have a choice of where they sit on the beautifully laid tables, and who with, as if dining out at a restaurant. Meals can also be taken in our residents’ rooms if they prefer. We are keen to encourage independence and support our residents to continue with past times, so many assist in the preparation of meals, peeling and preparing the vegetables for example. Our homes can also provide serving bowls if residents would rather serve themselves. Our menus are shaped by our residents, with our chef’s regularly encouraging feedback from our residents and their families as to what they may like to see more, or less of at meal times. How is Sanctuary Care shaping the future of healthy eating for older adults? As mentioned above, our residents have a hand in shaping our menus and this year, will become even more involved. As well as catering to our residents nutritional needs, we pride ourselves on our residents’ enjoyment of the dining experience. Our framework menus, which are tailored taking into account the importance of nutrition, are currently the same nationwide. However, this year the Hospitality Team will be introducing regional menus which will allow our chefs to cook local favourites offering a much better choice for our residents. This is particularly important now that Sanctuary Care has expanded into Scotland; there will be a whole host of country fare available. Each year, our Chefs from across England and now Scotland go head to head to compete for the prestigious title of Sanctuary Care’s Chef of the Year. The exciting competition, which is sponsored by Unilever Food Solutions and has been held at their head office in Surrey for the past ten years, enables our Chefs to show how culinary creative they are, showcasing their creative flair. We will be re-launching the much anticipated competition this year – which we hope will be bigger and better than ever. Sanctuary Care Limited is part of Sanctuary Group. © 2019 Sanctuary Group. All Rights Reserved.